However, over the years I’ve also continued to worry about the aluminum in my regular antiperspirant deodorant along with the other chemicals in it that I put on my skin every day. 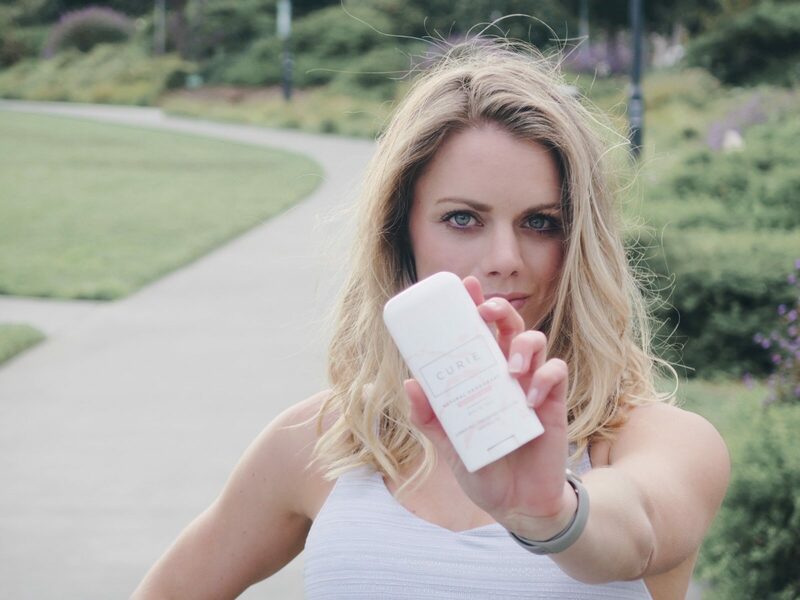 Aluminum is the main and active ingredient in antiperspirant deodorants, it works by clogging your sweat glands and blocking sweat from getting to the surface of your skin. Phthalates – Helps ingredients stick to your skin. Several studies, like this one, have shown that phthalates could impact fetal development in pregnant women. Triclosan – Helps kills bacteria. Some studies have linked it to unusual hormone activity. One study even suggests it could be messing with our microbiomes and day-to-day operations of our genes. Fragrance – Almost every scented product has “fragrance” among its ingredients. Due to an FDA loophole, manufacturers are not required to disclose what that “fragrance” is. So it is impossible to know just what chemicals are being used. Once you make the change to natural deodorant your body will start working towards getting back to normal. Basically, your armpits have to go through a chemical detox. Sounds fun right! (another reason I was scared to make the switch) Some friends have told me stories about unusual excessive sweating and extremely bad smelling underarms. Back when I was teaching 25 classes a week, it just didn’t seem like a good option for me. However, I started working in an office full-time I knew it would be a good time to make the switch. 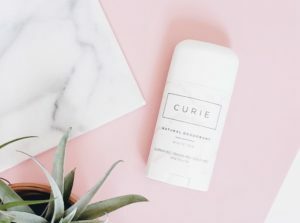 I learned about Curie this all natural deodorant with quality ingredients, in 2018 when it first came out. I was blown away with Sarah the founder, her passion and product. Also, knowing their formula is good for people with sensitive skin, I just knew this would be the perfect deodorant for me and it smells AMAZING! When I started using Curie I was prepared for the worst. I planned on carrying my deodorant and perfume with me all day in case I needed to freshen us, I also picked out clothes that wouldn’t show sweat or hold onto odors. Can you tell I was paranoid from my friend’s horror stories… However, my “detox” period was easy, I hardly noticed the switch. 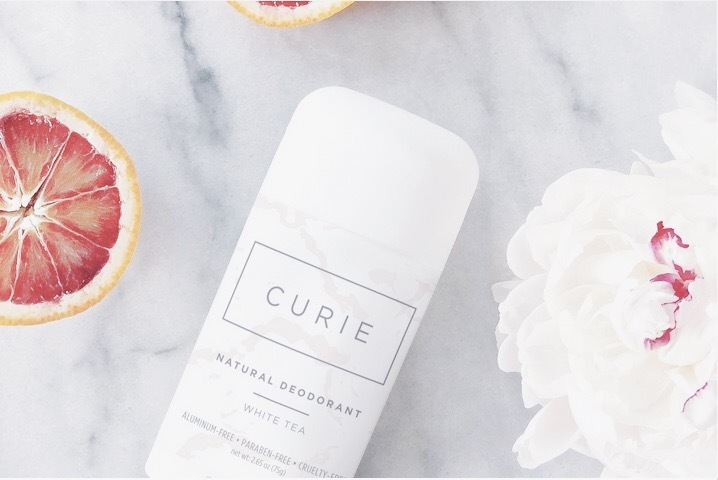 Every day I would take off my top and I was expecting to smell a little but all I could smell was the lovely Curie white tea scent and I never felt the need to re-apply throughout the day even when working out. I’ve had a very positive experience with switching to Curie’s natural deodorant. It has been over a month of using Curie and I’m still obsessed. I’ve also noticed this deodorant isn’t staining my shirt, which is a HUGE plus for me. If you’re interested in making the switch I highly recommend using Curie, it’s perfect for sensitive skin, smells great, completely natural and it actually works. Did I mention it also only costs $12! So what are you waiting for? Say BYE BYE aluminum! Since you stayed with me this whole time you get 20% off your first order with Curie, online! 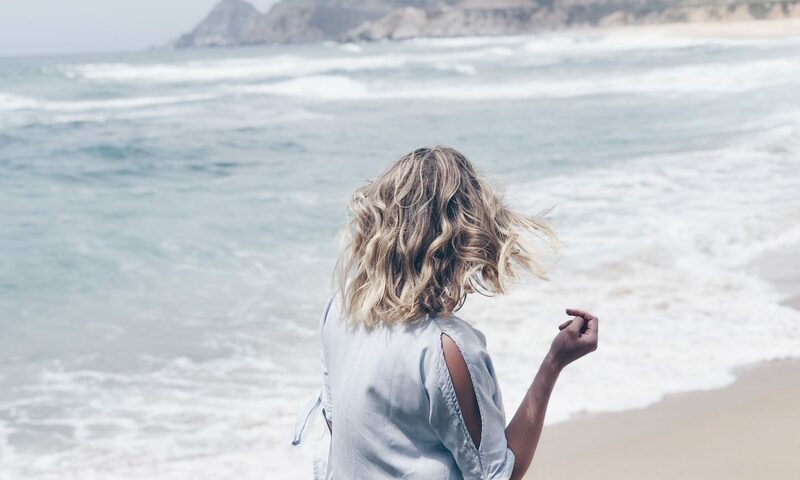 I'm Carlie and this space is where I share bits and pieces of my fitness adventures in San Francisco. I decided to start this blog to create a positive space where I can motivate and inspire others. I would love to have you join me on this journey.